A simple gesture grows into an annual celebration of giving. Six years ago, the folks at Ruckus Pizza, Pasta, & Spirits decided they wanted to make their employee Christmas party mean more than just a fun celebration among friends and coworkers. They thought about the community they’re serving, and about all of the school events and team parties that they cater to, and they decided to find someone who needed assistance. 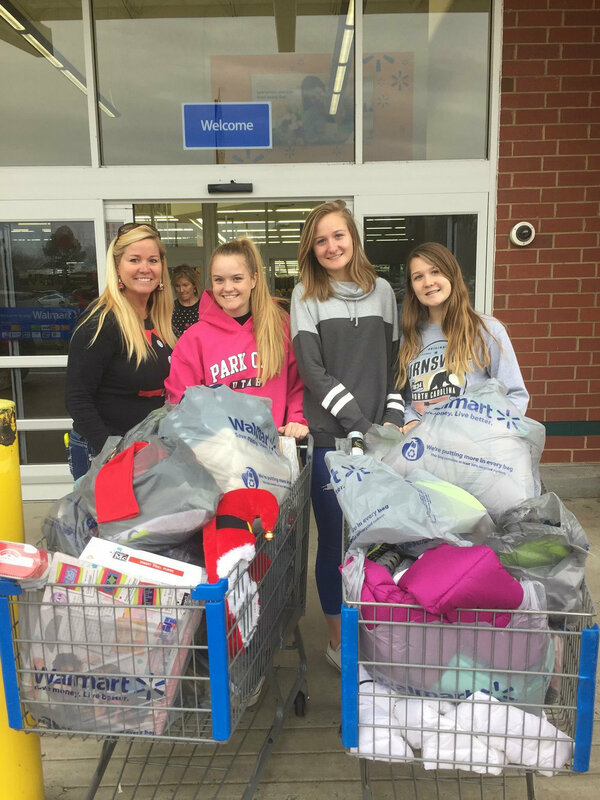 They reached out to a counselor at one of the schools in Cary, who identified two families in need of support that holiday season. The Ruckus team stepped in to help that year, and what has ensued since is enough to make even the staunchest Scrooge shed a tear of amazement. What started as a mission to help two or three families each year has grown exponentially into a community outpouring of support that is fondly named “Raising a Ruckus.” Last year, 45 families across eight schools in the western Wake area were the recipients of $50,000 in gifts and support. Raising a Ruckus, a 501(c)(3) nonprofit, has effectively raised the expectations of giving—not only among its own team, but also across the community. Each of the five restaurants hosts a tree that is decorated with ornaments of Christmas wishes. The “wishes” that are written on the ornaments represent the needs of children in our community who are hoping for a few presents under the Christmas tree. Robert Royster, owner of Ruckus Restaurant Group, says these are, more often than not, families who aren’t receiving assistance from other associations or government agencies. These are neighbors in need who school counselors know would have a challenging Christmas without Raising A Ruckus. In one instance they came to the aid of a single mom with four children who needed a bunk bed so they wouldn’t sleep on the floor. Another time it was to help a family when the parent was unexpectedly out of work, providing gifts as simple as some pajamas and a few dolls. And one of the most modest wishes evolved into one of Royster’s personal favorite events: A young man needed help purchasing a cap and gown for his graduation ceremony. Along with the cap and gown, he received a limo transport for the graduation and a dinner celebration for eight of his friends at the restaurant. Over the years, Raising a Ruckus has turned the simple mission into a finely tuned giving back opportunity. “There is no overhead. It’s 100 percent for families in our community that are picked by school counselors who know the needs of the families,” Royster explains. Volunteers come together to create the hundreds of ornaments, which, incidentally, are color-coded to a family in need. It’s not unusual for a business or group to join together and select all the ornaments of a given color, essentially adopting the family who will be the beneficiary of those fulfilled wishes. To volunteer, fund a family, or have your own Raising A Ruckus tree, visit RuckusPizza.com/raisingaruckus. Or if you simply want to select an ornament for gifting or donate to Raising A Ruckus, visit one of the Ruckus restaurants in Apex, Cary, Morrisville, or Raleigh.